"God is not a man who lies, or a son of man who changes His mind. Does He speak and not act, or promise and not fulfill?" Joseph's crazy life of finding himself wronged or forgotten in almost every circumstance YET still "doing the next right thing and doing it well" as pointed out in this mornings sermon points to a heart and mind that has a hope grounded in the assurance that the God of Abraham, Isaac, and Jacob is a good God and will fulfill his promises. This morning's drawing is a layered depiction of Joseph's life. Wearing the headpiece and golden necklace of an Egyptian Vizier and wearing Pharaoh's signet ring represents the position of power God placed him in to provide for Jacob's family. The shackles and chains represent his time in prison but unlocked bearing the names of his brothers also represents Joseph's offer of forgiveness to those who meant to harm him. 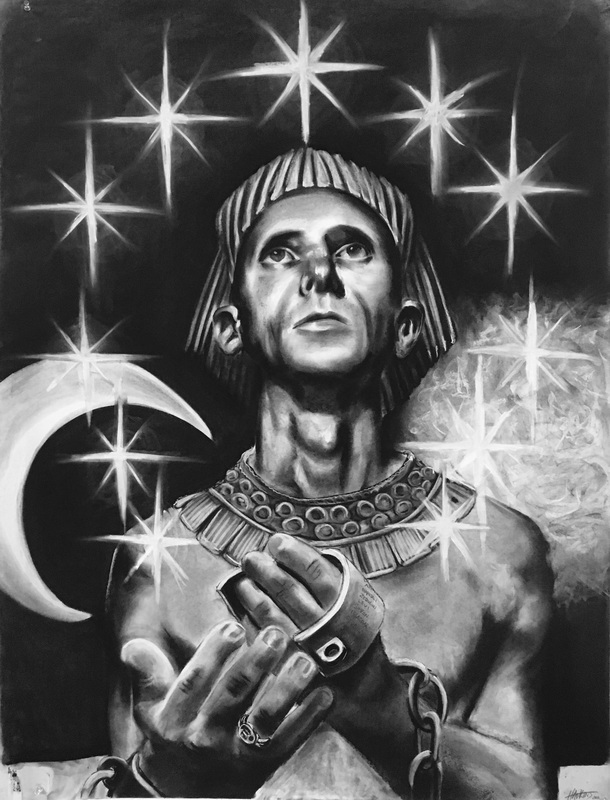 Lastly, the stars, moon, and sun reference Joseph's God-given dream foreshadowing his role in the Pharaoh's court. View the time lapse video HERE. ​Listen to the sermon HERE.